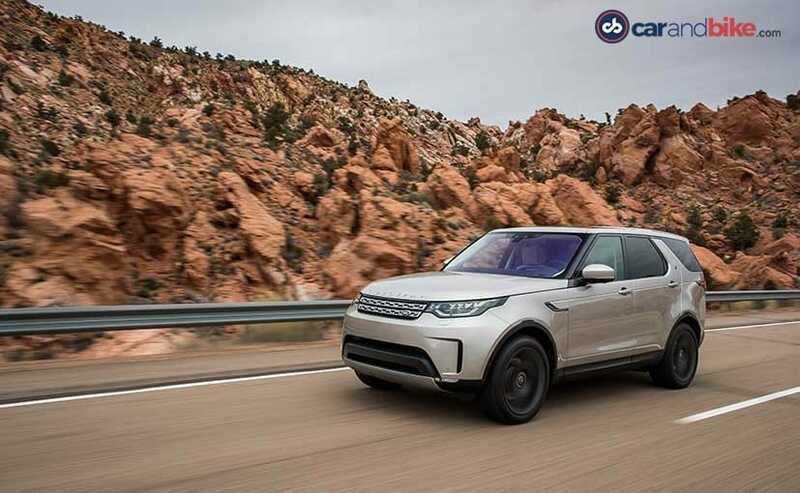 We have the exclusive India-first review of the brand new 3rd generation Land Rover Discovery. It will launch in India this October in its TDV6 and Si6 avatars and we've tested both. 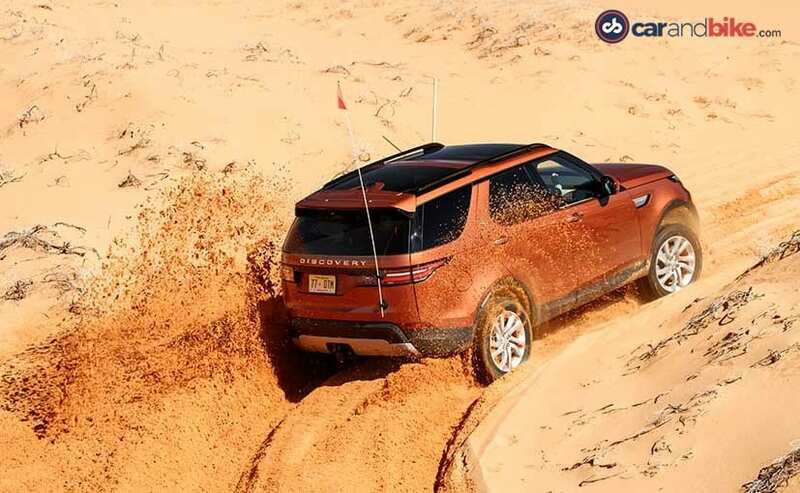 The new car is claimed to be the most capable off-roader Land Rover has made. Read on to find out if that claim is justified! 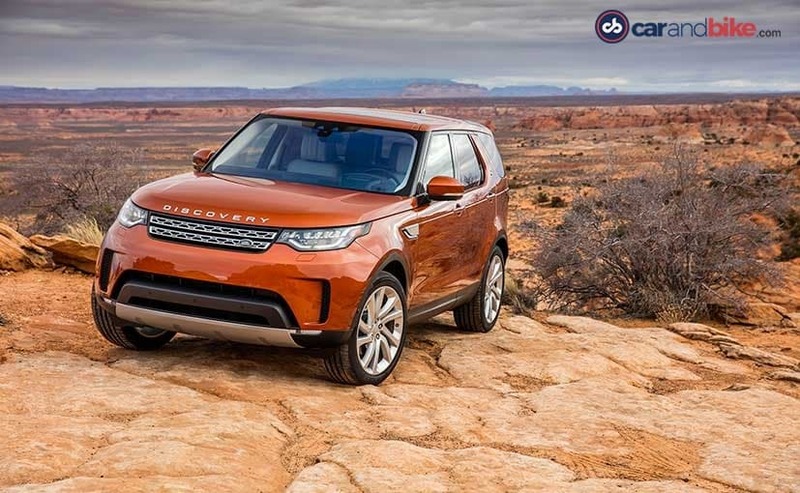 The new Land Rover Discovery is a big deal product for the Tata-owned British SUV maker. The 2014 New York Auto Show saw the unveiling of the Discovery Vision Concept. What followed, as a production model soon after, was the Discovery Sport that replaced the Freelander2. 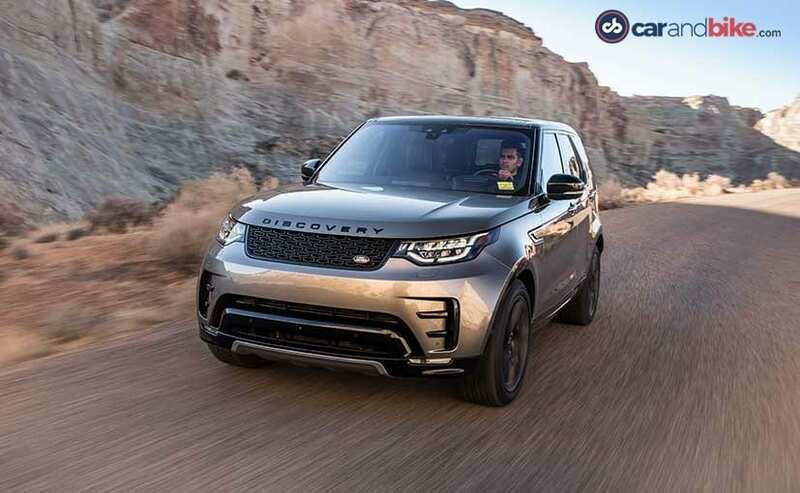 But what many people missed was that the concept shown then was really the design study for the next generation Discovery or as Land Rover calls it - the Discovery 5. 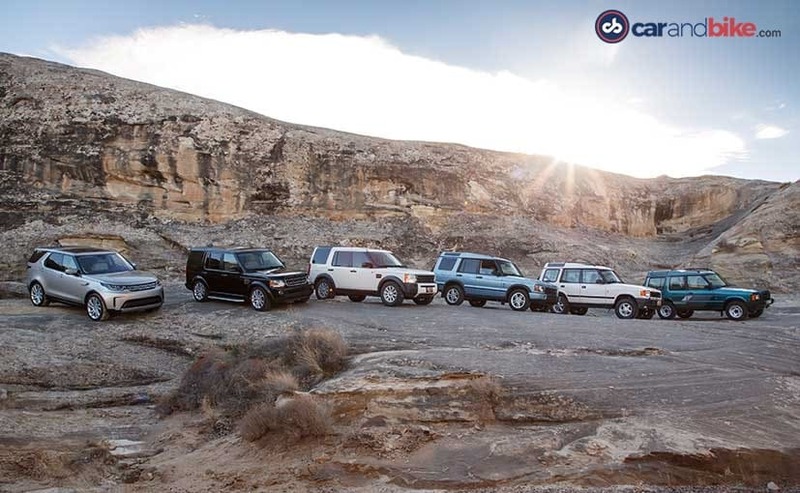 It is the most technologically and dynamically capable Discovery - since the brand debuted way back in 1989. And even though it goes by the 5 in its name its really the 3rd generation. 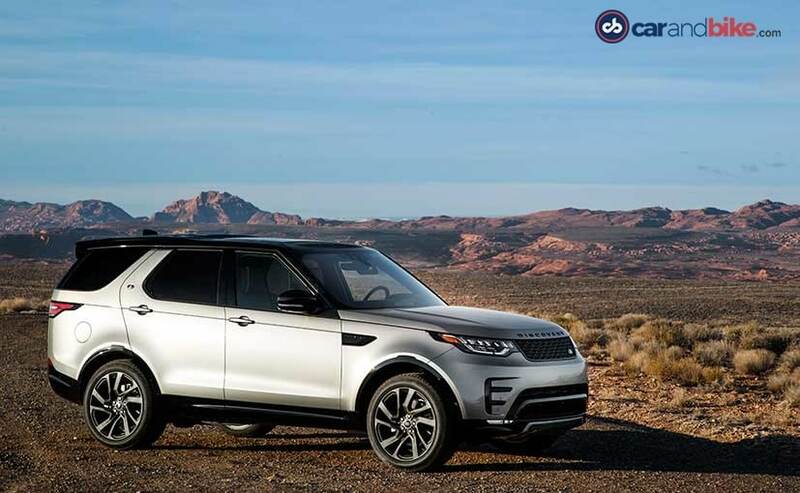 A premium workhorse, the Discovery is positioned very clearly as a family car by Land Rover. The new car is also just that, albeit in a plush and luxurious package. 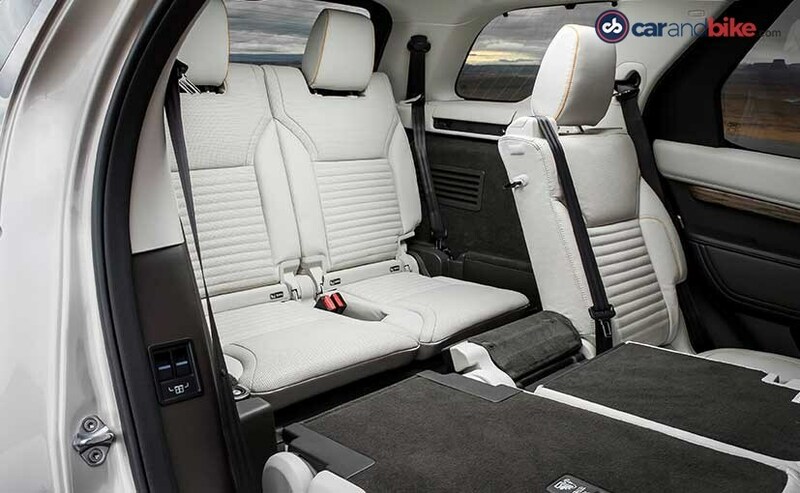 The focus of the Discovery is to provide a powerful, efficient car with a flexible and roomy interior - that's also loaded with tech. 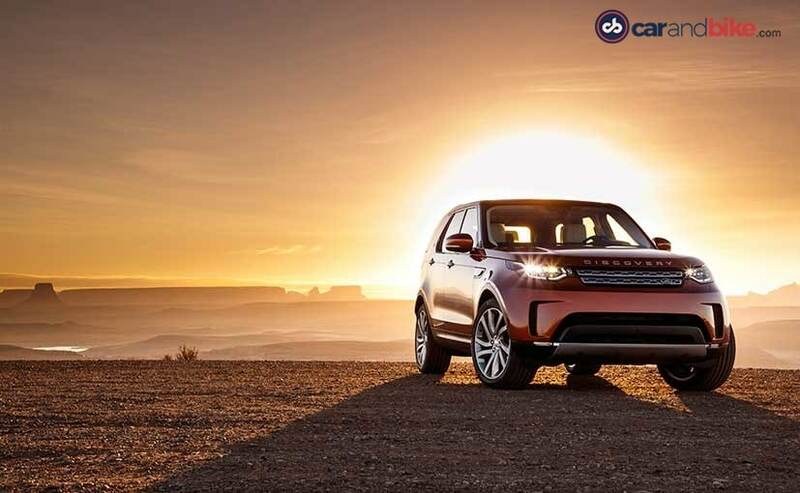 If you are looking for sheer performance, then this isn't the car for you, and you're better off staying in Range Rover Sport territory in that case. 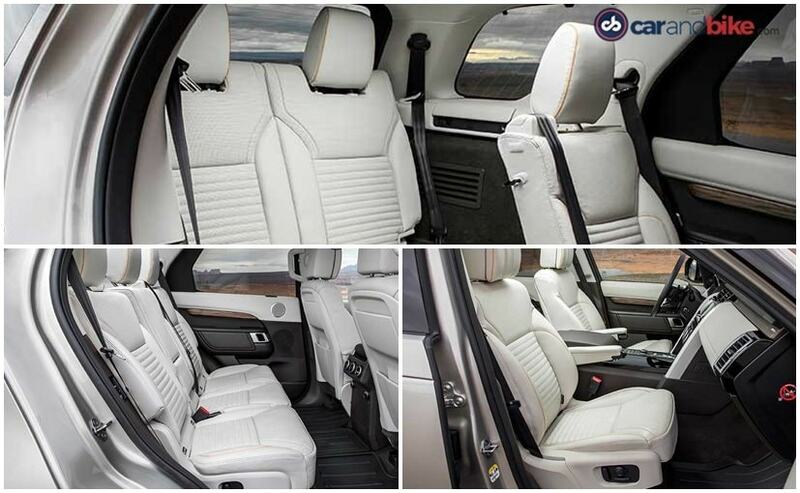 The Discovery is for those who want to move themselves and their loved ones around, in comfort and style. But in India, it will no doubt still be presented to us as luxury vehicle, which is sad really, since that is not what the Discovery is meant to be! The die-hard Discovery fan will be disappointed by the looks. The split rear door that almost gave the Disco its identity is gone. Instead you do get an inner-load floor that electrically folds out once the tailgate opens. That floor can take up to 300 kgs of weight and so is still as functional as the bottom of the previous split gate. The other hark back to the old car's looks is the very slightly stepped-roof, that does provide more headroom to the third-row passengers. The car's rear 3/4th view is a bit heavy, and the bumpers - front and back - are rather large. 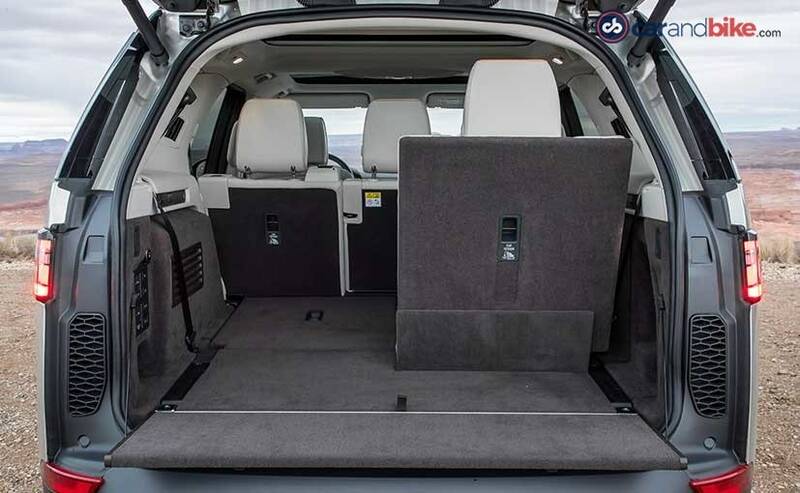 But what Land Rover has attempted is to provide a proper 7-seater - in the sense that it wants you to believe the third-row is also great for full-size adults. That claim does hold when compared to 3-row rivals. The new Disco is less than 5 metres in length at 4790 mm. There's an extra 38 mm in its wheelbase (2923 mm) over the last car. Land Rover claims 960 mm of legroom in the second-row. The seating is stadium style, and a flatter floor gives you a greater sense of space in the 3rd row. The 2nd row headrest height has been lowered by 60 mm, to provide better visibility of the dash and windscreen to last row occupants. It has seat configuration technology that uses switches in the cargo load area or touchscreen in front to electrically control all 2nd and 3rd row seats, to offer 21 configurations. All seats fold flat in 14 seconds flat(!) to give you 2500 litres of maximum cargo space. The system uses artificial intelligence and advanced weight sensors on each seat - meaning it won't fold if something or someone is on a seat. The cabin gets 21 stowage areas including one concealed behind the AC controls! Every occupant can access USB ports and you can marry multiple devices to the car's infotainment system, that surprisingly has no Apple CarPlay or Android Auto. 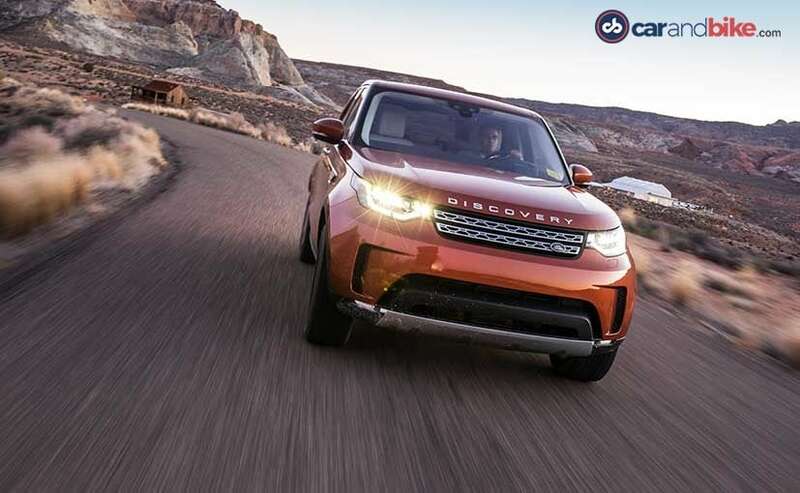 The new Discovery shares the Range Rover's aluminium architecture, adds cabin space and drops weight over its predecessor by 480 kgs - that's 20 per cent lighter! Yet it weighs over 2 tonnes at 2080 kgs. It is the stiffest and most dynamic Disco yet. That advanced composite one-piece tailgate helps give it a near 50:50 weight-distribution. The engine choices to go with all this are the 2.0 Ingenium SD4 diesel in two avatars: 176/235 bhp, 335 bhp Si6 petrol V6 and 358 bhp 3.0 TDV6 diesel. The SD4 offers decent mileage of 16.6 kmpl (for the 176 bhp version). It also has a 17 per cent better coefficient drag figure of 0.33. But it's not really about any of this. The big story on the new Disco can be split into two clear topics: this is a much plusher and high-end model now, and its interior space is impressive. I began my voyage of Discovery as it were at the St George airport - a small airfield in the stunning Utah countryside - pretty much the middle of nowhere! Welcoming me as I stepped off the charter flight were 3 variants of the brand new Discovery. India will get the Si6 and TDV6, and so those were the cars earmarked for me. But I did get some time behind the wheel of the 2.0 Ingenium diesel too. That's the first four-cylinder diesel in a Discovery ever - and the new twin-turbo is available with either a 237 bhp or 178 bhp output. It is a pity we won't be getting it by the way! The Si6 is the pick of the pack if speed and sportiness are your thing. It punches 333 horses and has 450 Nm of torque, and can do 0-100 kmph in 7.1 seconds! While I tested that car extensively, I spent even more time with the diesel TDV6 - another familiar engine from Jaguar Land Rover that we know well. The V6 engine punches 253 bhp, and has 600 Nm of peak torque. You get a bulk of that torque nice and low too. The engine is mated to ZF's very capable 8-Speed automatic gearbox like its petrol counterpart. I had indeed opted to drive the TDV6 first and began by driving on flat US Interstate tarmac. The car is smooth and doesn't immediately come across as a two-tonner! Soon highway gave way to rocky winding roads deeper into the countryside. 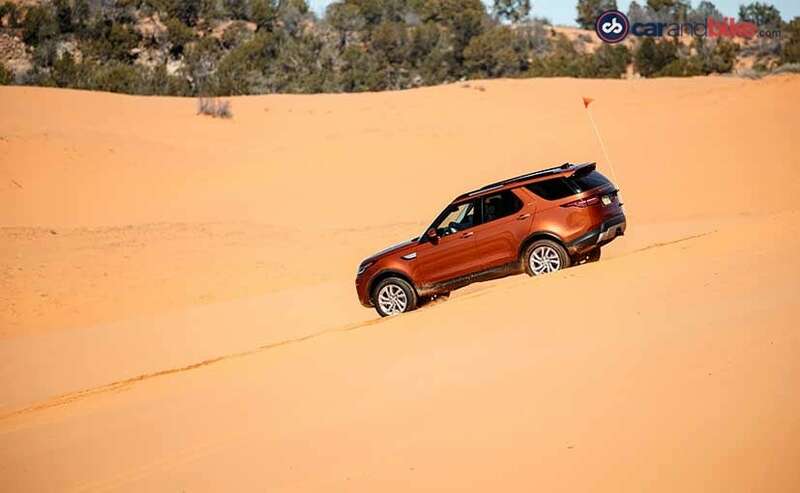 The gorgeous red sandstone landscape was the perfect setting for the Namib Orange Discovery with me. After our first stop it was time to check out the car's off-road skills right away. And this is environment the Discovery 5 belongs in - not hotel porches, golf course parking lots or mad city traffic! Land Rover says it's the most capable off-road car it's ever built. That's quite a claim isn't it, since I am including the Defender too! 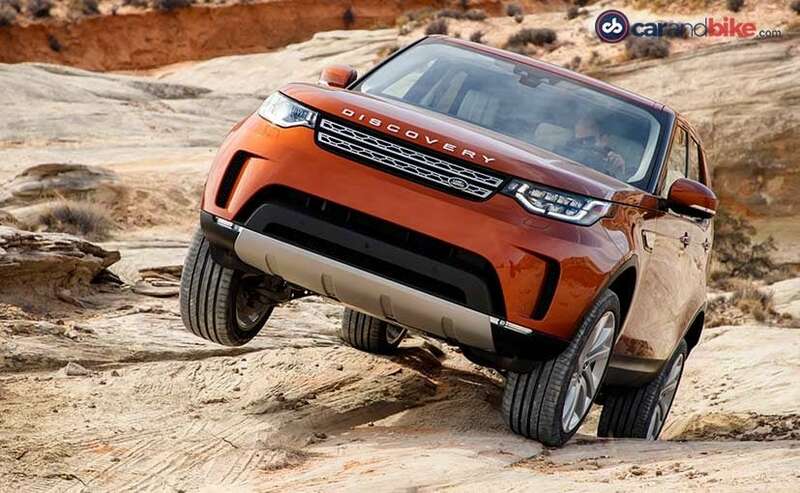 The Discovery 5's suspension has been borrowed from the Range Rover's. This gives it better body control and on-road comfort than any Discovery before it. The front double wishbone and rear integral-link layout is capable and swallows pretty much anything you throw its way. Add in the optional air suspension and you're really in comfort heaven - and before you can ask yes that is likely to be standard and not optional on the Indian spec. By the way, that new rear suspension is more compact to give additional space for adults in row 3. But let me stay on point here! The car's ride is supple, though at higher speeds on smooth tarmac you will sense a touch of roll and so the car comes across as a bit floaty. Unlike its initial impression, you do start to get a sense of the car's massive bulk when you're driving it faster - unlike some of the modern SUVs we have been used to off late. But it makes up for that with a very precise and tight steering. 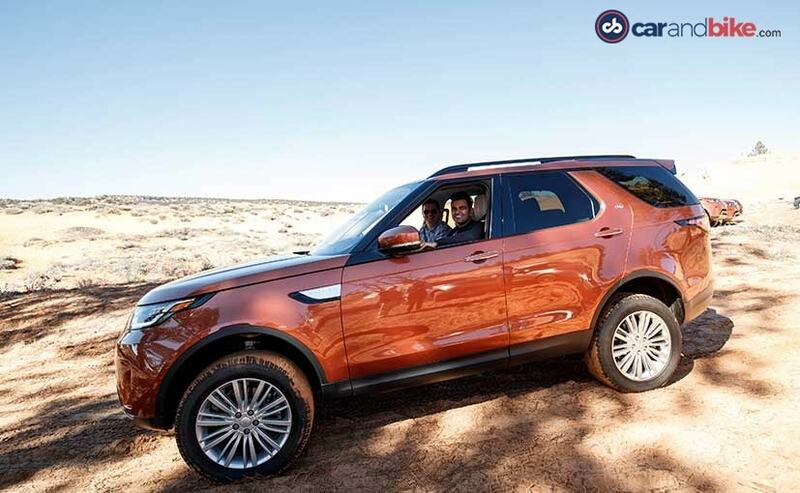 This new Discovery 5 also has Terrain Response 2 - the latest iteration of Land Rover's system. That means it has 'auto mode' that monitors throttle, braking, steering response, suspension, and traction control to match the terrain you're driving on. You can manually switch to sand or grass/gravel/snow or mud/ruts or rock crawl on the terrain response dial. All Terrain Progress Control is also standard - and couples with the hill descent feature. The car has a generous 283 mm ground clearance, a huge 500 mm wheel articulation and a generous 900 mm wading depth - that's up 200 mm over the last Discovery. The air suspension has a 2-stage off-road mode that will see it stay higher by 75 mm at speeds up to 50 kmph, 40 mm higher at between 50 and 80 kmph, and dropping by 13 mm above 105 kmph. That gives you a total 210 mm raising/lowering range. When you come to a stop and remove seatbelts, the car drops 15 mm. Open the door and it drops another 25 mm - to make getting out of this big hulk a lot easier. I actually got to test all the Terrain Response settings for a change. I switched to 'sand' once I got to the Coral Pink Sand Dunes State Park. Almost 4000 acres of desert near Kanab, Utah that has a peculiar pink hue from the area's predominant sandstone base. It's not just gorgeous but provides a very fine granular sand surface - that's tough to drive on. We dropped tyre pressure and off I went. The Discovery didn't hesitate or seem unsure even once. Luckily unlike others in the group, I got through without any incidents that required being tugged out of the sand! If I had been happy driving on muddy tracks, broken rock and rough surfaces earlier, this time around it felt like even the car was smiling with me. So at ease, and so at home - the Discovery just ploughed on - conquering steep inclines, treacherously soft sand, and even driving unruffled over the patches of ice and snow we encountered. Yes - it's a desert but given it was still the end of winter, there was plenty of snow all over the place! As the day wore on we had one more adventure to conquer - a rock crawl. The Discovery wrapped it up with sheer ease even though it got very scary! At times I felt like I was driving the car vertically up! All I had was the car's cameras, Terrain Response set to rock crawl, low range engaged and a pair of spotters helping me out to make sure I don't end up in the valley far below! And I did it all on regular tyres at that. 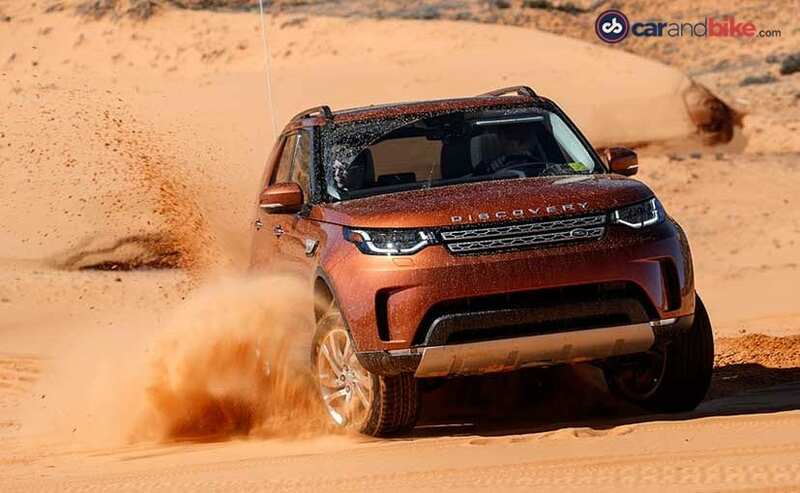 The Discovery is certainly a capable and talented off-roader. And yes it amply lives up to Land Rover's aforementioned claims. The next day I got a chance to spend some time on and off the road with the Si6 petrol. The car I drove was dressed in Aruba grey, and had a contrast black roof, black grille and black alloys too. And it looked very sharp! Drive it a few minutes and you realise its character goes beyond the obvious differences between petrol and diesel. You almost think you're driving a different model! It feels a lot lither even though the difference in weight between the TDV6 and Si6 is just 75 kgs. Now that difference gives you a slightly more agile ride, and more athleticism. Beyond the weight difference, it has a lot to do with the responsive Si6 engine, that's got almost 340 bhp to play with. The Discovery Si6 is also a capable and talented off-roader, and it too lives up to Land Rover's aforementioned claims. Buyers today want more than capability though, and so it was a quick check on the features the Discovery boasts too. Ambient lighting, driver-aids like autonomous emergency braking, adaptive cruise control, lane-keep assist, and a semi-autonomous parallel or perpendicular self-parking function - are all standard. India may not get all features though. Given how pricey the car is going to be when it gets to India - I know many of you will be smirking or cringing as you read my review calling it a workhorse! But that's the proposition in the West. It will arrive in India later this year, and like in most markets, will primarily rival the Audi Q7. But it has such a different attribute and skill - compared to that car, that both will be immediately distinct.